We have a lot of books in my house. My two boys love to have me read to them, and they get so excited about new books, so we’ve grown quite a nice collection over the past few years. 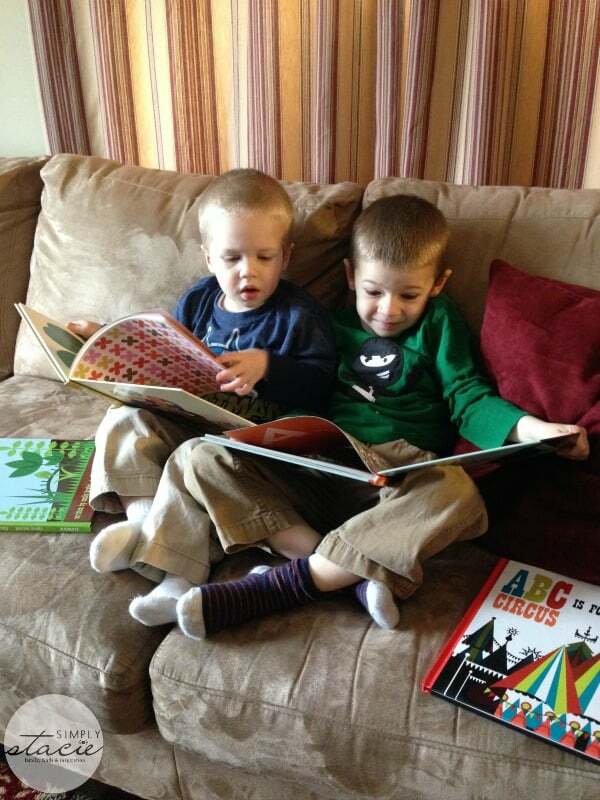 I’m always happy to pick up new books for my boys and was super excited to have the chance to review some kids books from AMMO Books. 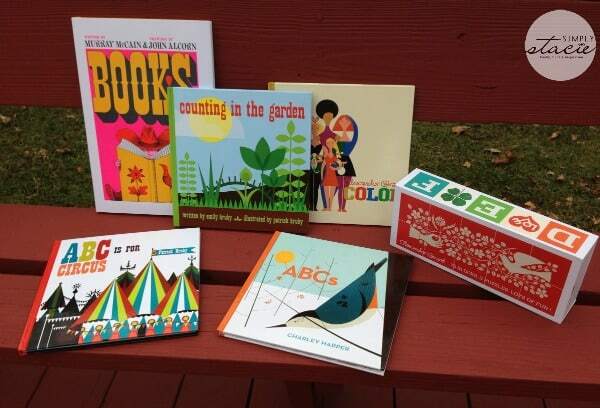 We received a great sampling of kids books, as well as a block puzzle, from AMMO Books that my boys and I absolutely love. * Books! – this book was originally published in 1962 and just recently re-released in a large format. Celebrating the importance of books in our everyday life, this book was the New York Times Book of the Year in 1962. I like the cute illustrations and the flow of the book, and I really like how it’s just as relevant today as it was in 1962 – even in this digital age, we still need books! This book sells for $17.95 on the Ammo Books site. * Alexander Girard Color – this hardcover book features the designs of 20th century design icon Alexander Girard. The words are simple and easy to read for the pre-k set, and the bright illustrations are great to see for any age (kids and adults alike!). This book sells for $16.95. * Alexander Girard Blocks – featuring the same great designs as found in the books, this 10-block set is colorful and eye-catching. 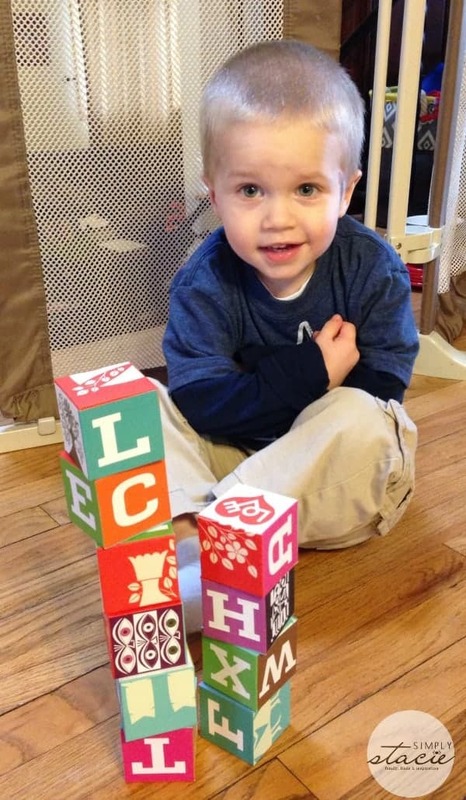 My two-and-a-half year old was especially drawn to them and enjoyed creating colorful towers with these blocks. I love that they come in their own sturdy box for storage. These blocks are a great item to hand down to future generations. They sell for $21.95. * Charley Harper ABCs – this is a great beginners book with easy words and beautiful illustrations. The site describes this book as “charming” and I think that fits this book perfectly! * Counting in the Garden – this book is a fun way to learn and review numbers. With each page, and every number, the garden grows. This is another book from Ammo that features wonderfully colorful illustrations that are fun and appealing to all ages. Both of my boys got a kick out of this book. It sells for $16.95 on the site. * ABC is for Circus – this circus-themed book is fun and very different from all other ABC books I’ve seen. This is a neat little book that gives kids a look in the circus world while learning new words that start with each letter. This book also sells for $16.95 on the Ammo site. AMMO Books has so many fun and unique books for kids and adults. They feature the work of unique designers, photographers, illustrators, and artists, creating must-have books that have great design, thoughtful writing, and exquisite printing. You can get a sneak peek into the books they offer by clicking on each title – and you can also access videos on most of the book pages as well. The kids books that AMMO Books offers would make great gifts – special and unique, and sure to be loved for generations to come. To see everything AMMO Books has to offer, visit their site. I let my kiddos look, and they loved the imaginary castle floor puzzle. They said it reminded them of the Olympics. I like the Alexander memory game. I love the look of all of their items! I would like to get the Charley Harper Classic Wooden Peg Puzzle. I like the Alexander Girard blocks. I love Charley Harper’s Animal Kingdom by Todd Oldham. I like the Limited Edition book Edward Weston: One Hundred Twenty-Five Photographs. I like the book Distant Shores. I love surfing so this is perfect! The Alexander Girard Eden Giant Floor Puzzle is cool. I like the CHARLEY HARPER NESTING BLOCKS. I like Charley Harper’s Animal Kingdom! I like the Charley Harper Coloring Book of Birds. I would also like the Distant Shores book, a friend knows about it and enjoys.